Born in Iowa and raised in Kansas, Dr. Dow received his undergraduate degree in Pre-Med Studies from Kansas State University in Manhattan, Kansas and his M.D. from the University of Kansas School of Medicine – Wichita in Wichita, Kansas. Dr. Dow completed his Internship and Residency in Internal Medicine at the University of Kansas School of Medicine – Wichita. Dr. Dow then completed his Fellowship training in Pulmonary and Critical Care Medicine at the University of Arizona in Tuscon, Arizona. He is board eligible in Pulmonary Medicine. Dr. Dow is board certified in Internal Medicine and Critical Care Medicine. 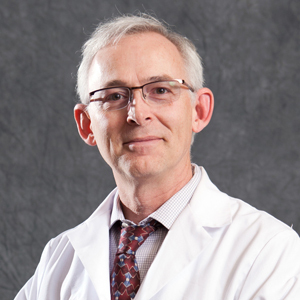 Dr. Dow has extensive experience in Pulmonary and Critical Care Medicine and worked as an Intensivist and Pulmonologist in Oregon, Arizona, Kansas, and Iowa in private practice, the Veteran’s Administration, and as faculty with the Oregon Health Sciences University prior to moving to Nevada. He has held hospital administrative and leadership positions throughout his career including Director of Cardiopulmonary Medicine and Chief of Medicine. Dr. Dow has a special interest in lung cancer, bronchoscopy, and the management of life-threatening multisystem organ failure in the Intensive Care Unit. In his free time, Dr. Dow enjoys hunting, fishing, and spending time with his family. Dr. Dow is a published author with a passion for writing that mirrors his passion for medicine. Born in Taiwan and raised in New York City, Dr. Lin received his undergraduate degree and M.D. from Boston University through the accelerated Seven-Year Program of Liberal Arts and Medical Education. Dr. Lin remained at Boston University and Boston City Hospital for his Internship and Residency in Internal Medicine and his Fellowship in Pulmonary and Critical Care Medicine. 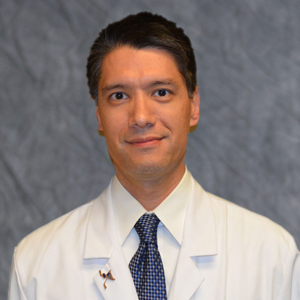 He is board certified in Internal Medicine, Pulmonary Medicine, and Critical Care Medicine. Dr. Lin performed research at Boston University in upper airway gene- expression as a biomarker of secondhand smoke exposure. Dr. Lin’s clinical interests include complex mechanical ventilation, bronchoscopy, and the management of Neurosurgery and Cardiothoracic Surgery patients in the Intensive Care Unit. In his free time, Dr. Lin enjoys playing tennis and traveling. 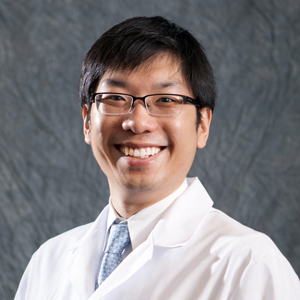 Born in North Carolina and raised in Maine, Dr. Watanabe received his undergraduate degree in Chemical Engineering from Tufts University in Medford, Massachusetts and his M.D. from the Albany Medical College in Albany, New York. Dr. Watanabe then completed his Internship and Residency in Internal Medicine at the Brown University School of Medicine in Providence, Rhode Island. Dr. Watanabe completed his Pulmonary and Critical Care Fellowship training at Brown University and the Mount Sinai School of Medicine in New York City. He is board certified in Internal Medicine, Pulmonary Medicine, and Critical Care Medicine. 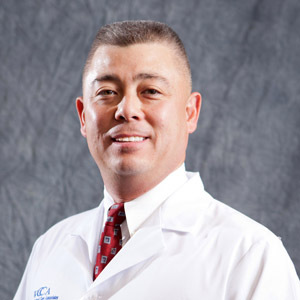 Dr. Watanabe has extensive experience in Pulmonary and Critical Care Medicine and worked in Intensive Care Units in Rhode Island, Massachusetts, and New York City prior to moving to Nevada. Dr. Watanabe has a clinical interest in septic shock, complicated mechanical ventilation, and lung cancer. Dr. Watanabe also has an interest in improving the safety and effectiveness of patient care in the Intensive Care Unit through systems analysis, standardization of care, and adherence to evidence-based practice. In his free time, Dr. Watanabe enjoys reading, traveling, and spending time with his family. Born and raised in Southern California, Dr. McPherson received his undergraduate degree in Chemistry from Claremont McKenna College. He graduated from Mayo Medical Medical School in Rochester, Minnesota. He served his internship and residency at Vanderbilt University Medical Center in Nashville, Tennessee. He continued at Vanderbilt University Medical Center where he completed a Fellowship in Pulmonary, Critical Care and Sleep Disorders Medicine. He is Board Certified in Internal Medicine, Pulmonary, Critical Care and Sleep Medicine. 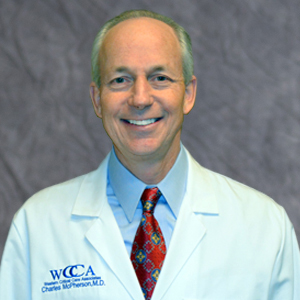 Dr. McPherson has been in practice in the Las Vegas area since 1989 with the extensive experience in Pulmonary, Critical Care, and Sleep Disorders. He has served as Medical Director of the Clark County Health District Tuberculosis Clinic for many years. Dr. McPherson special interests include tuberculosis, bronchoscopy, complex mechanical ventilation, sleep disorders and medical bioethics. In his free time he enjoys cycling, running, backpacking and snow skiing with his wife and family. Born in Columbus, Ohio and raised in St. Louis, Missouri, Dr. Mooney received his combined B.A. in Biology/M.D. degrees from the University of Missouri-Kansas City School of Medicine six year program directly after high school. Dr. Mooney completed his Residency in Internal Medicine at Penn State University in Hershey, Pennsylvania. Dr. Mooney completed his Fellowship training in Pulmonary, Critical Care, and Sleep Medicine at Temple University in Philadelphia, Pennsylvania. He is board certified in Internal Medicine, Pulmonary Medicine, Critical Care Medicine, and Sleep Medicine . Dr. Mooney has practiced in the Las Vegas area since completing his training with extensive experience in Pulmonary, Critical Care, and Sleep Disorders. Dr. Mooney has clinical interests in chronic obstructive pulmonary disease, lung cancer, bronchoscopy, mechanical ventilation, and sleep apnea. In his free time, Dr. Mooney enjoys ice hockey, martial arts with black belts in Tae Kwon Do and Sun Mu Do, reading and spending time with his family. Born and raised in the Philippines, Ms. Bent received her Bachelor of Science in Nursing degree from Our Lady of Fatima University in the Philippines. She continued her education in California and received her Master of Science in Nursing, Family Nurse Practitioner degree from Charles Drew University in Los Angeles. Ms Bent is board certified by the American Association of Nurse Practitioners. Ms. Bent has extensive specialty experience in Intensive care units taking care of Critically ill and cardio thoracic post op patients. As a Nurse practitioner, she believes strongly in maintaining a high degree of ethical standards as well as knowledge and competency that reflects current practice in relation to her chosen field. She believes in empowering patients, integrating research findings and adhering to evidence-based practice. Her desire to help others is rivaled only by her dedication to her profession. In her spare time she enjoys running, traveling and spending time with her family and friends. Born into a military family in Fairbanks, Alaska and raised primarily in southern New Mexico, Mr. Allyne received his undergraduate Bachelor of Science in Nursing degree from Texas Tech University Health Sciences Center in Lubbock, Texas. Mr. Allyne continued his education and received his Master of Science in Nursing degree from Texas Tech University. Mr. Allyne is board certified by the American Association of Nurse Practitioners. While completing his nursing degrees, Mr. Allyne joined the United States Air Force as a crew chief. He received commissioning as an officer in 2006 and retired as a Captain in 2014. During his military career, Mr. Allyne was stationed at Nellis AFB in Las Vegas as a Critical Care Register Nurse, worked as a combat medical instructor, and was deployed to Afghanistan. Through his experience in treating critically ill patients in challenging circumstances, Mr. Allyne developed an interest in emergent vascular access procedures, aggressive resuscitation of shock, and mechanical ventilation. Mr. Allyne joined Western Critical Care Associates in 2014. Born and raised in Manila, Philippines, Ms. Dela Cruz received her Bachelor of Science in Nursing degree from the University of Santo Tomas in the Philippines. She migrated to the United States in 1995 and practiced as a registered nurse for 17 years in the intensive care unit specializing in coronary care, open heart surgery and multiple system organ failure. She continued her education in California and received her Master of Science in Nursing, Family Nurse Practitioner degree from Charles R. Drew University in Los Angeles. Ms. Dela Cruz is certified by the American Academy of Nurse Practitioner. Ms. Dela Cruz has extensive specialty experience in the care of both critically ill and cardio thoracic immediate post op patients. Ms. Dela Cruz has clinical interest in the management of respiratory failure, septic shock, neurosurgery and cardio thoracic surgery patients in the intensive care unit. Rowena’ next goal is to further advance her studies by obtaining her Doctorate of Nursing Practice. In her spare time, she loves to travel and spend time with her family. ©2019 Western Critical Care Associates . All Rights Reserved.